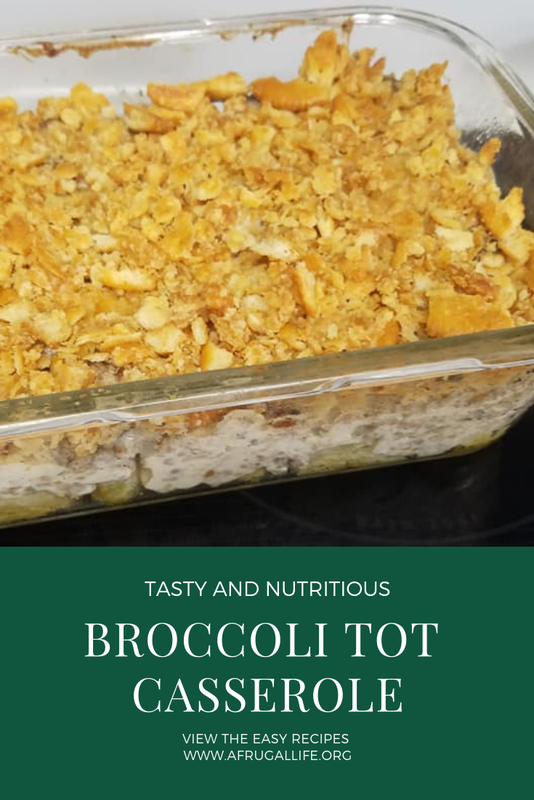 This one is a new one I came up with to combine some flavors that we love, plus I wanted something a little bit crunchy, but also a little bit healthy! Butter or grease the bottom of a small 6 x 8 casserole dish. Brown the ground beef or turkey and then drain off the grease and set aside. In a small bowl, mix together the mushroom soup, onion soup mix, and sour cream. Mix the meat into the soup mixture. 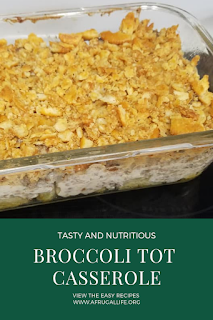 Layer the frozen veggie tots on the bottom of the casserole dish. Cover the frozen tots in a layer with the ground meat mixture. In a frying pan, add the butter and then crumple the Ritz crackers into the pan. Saute on medium-low until the crackers are lightly toasted. Spread the Ritz crackers over the top of the casserole. Cover with aluminum foil and bake for 30 minutes on 350 degrees. Uncover and bake for another 10 minutes. I serve with green beans or another vegetable on the side. Stores well in the fridge or freezer for leftovers. I've been a reader since I was little. My favorite place to go when I was 5-years-old was the library and we spent entire summers there devouring shelf after shelf of books. Now that I'm an adult, I have less time to read, but I still enjoy my books while I can. In addition to fiction, I have quite the collection of cookbooks, craft books, and reference books. One of my major rules for myself is that I don't spend full price on books. One of the ways I do this is through Paperback Swap. I've had an account there for years and it saves me over $300 a year in book costs. Paperback Swap is a barter website specifically for trading books. Although it mentions paperbacks, you can trade hardbacks too, in fact, this is one of the ways I make the most of the site. It's a pretty easy website to use. You sign up and then create a wish list of items that you would really love to have. 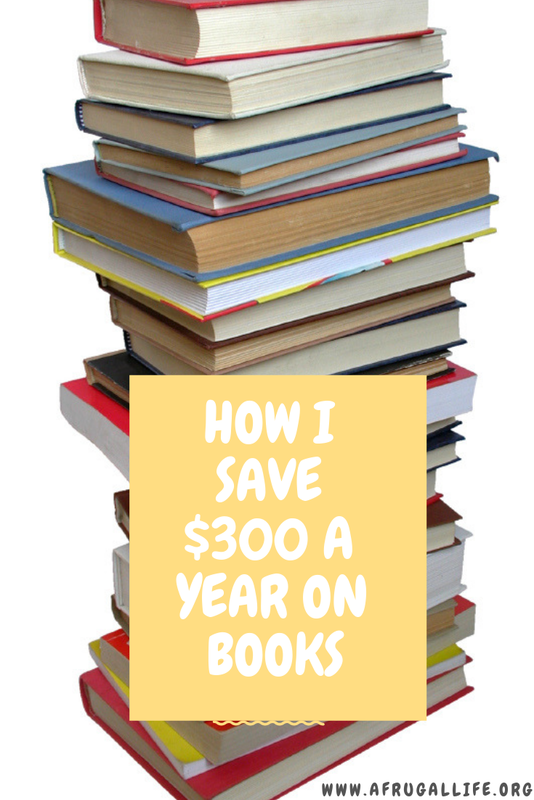 You also create a list of books you have that you want to get rid of. When someone comes along that wants your book, you will get a notice to send it to them. You pay to ship on this. They will encourage you to purchase shipping through their site, but I recommend buying shipping directly from USPS.com or the post office to save money. Once you send the book, you'll get a book credit. When someone comes along that has a book you want, you'll get the chance to spend your book credits to get those books that you want. The sender always pays shipping. Here are my tips on getting the most value out of Paperback Swap. Post as many books as you can to trade. You want to stock up credits for when you want to get books. When I run out of books to trade, I got out and buy books for 10 cents at garage sales and post them to trade. Choose the hardcover version of books on your wish list if you have a choice. That way you're getting nice valuable hardcover books, for the price of shipping out a paperback. Go online on Amazon and search for books you might want to have. Then add those books to your Wishlist. The more books on your wishlist, the more often you'll get contacted by members that have books to send to you. Think outside of the box. I not only get my novels here but beautiful hardback cookbooks, craft books, reference books and even some college textbooks I need for classes. 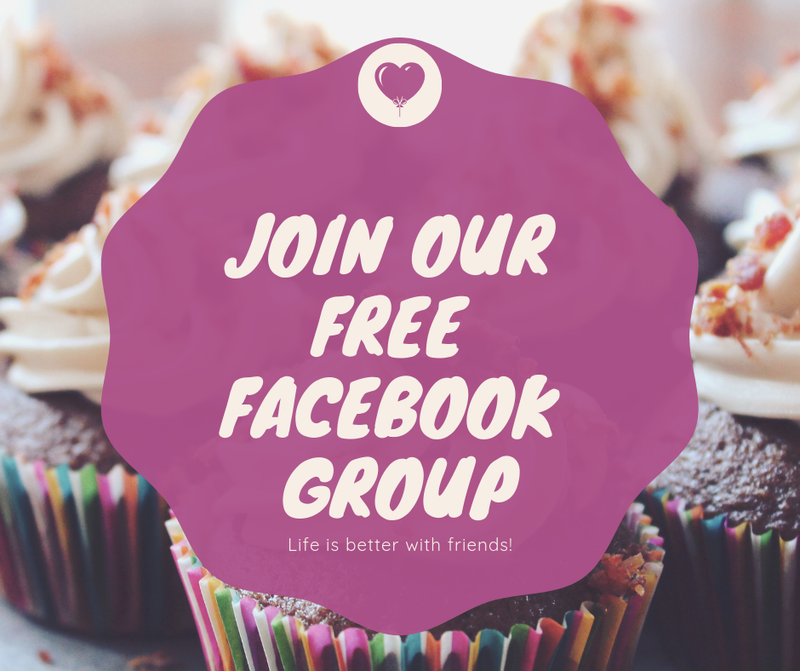 You can sign up here for Paperback Swap, it's totally free. All you ever have to pay is the price of shipping a book out. Remember, ALWAYS SHIP MEDIA MAIL. It's only around $2.67 to ship a paperback book media mail. Tonight was Chili night! 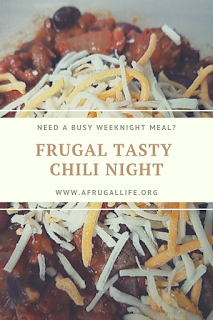 I usually use all ground beef or a mixture of ground beef and ground turkey, but I had some leftover steak that really needed to be used up and it turned out to be an awesome mix for this chili. Brown ground beef and round steak in your chili pot with the diced onion. No need to add oil as you're ground beef has enough fat to keep your meat from sticking. Drain the fat off in a colander over a bowl and return pan to the stovetop. Add diced tomatoes, beef broth, kidney beans all of the spices to the pan. Simmer on medium-low for 30 minutes and then stir in cornstarch to thicken. Lower heat and simmer on low until serving. My favorite way to serve this is with cheesy biscuits or garlic bread.